Now that the KID is here, we can help you take care of it! 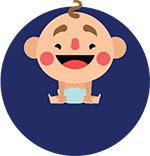 Throughout the last months, we have prepared many PRIIPs KIDs, using our expertise to successfully launch them into the world. We now add experience to expertise and are happy to assist you in keeping your PRIIPs KIDs up-to-date and compliant, factoring in all aspects the PRIIPs family brings to the table. Governance elaborates on mechanisms, processes and relationships through which firms are controlled and directed. Governance structures and principles define the distribution of rights and responsibilities among various participants within the firm. Governance includes the processes by which a firm’s objectives are set and pursued in the context of the social, regulatory and market environment. Governance principles and codes have been developed in different countries and issued by investment firms or stock exchanges in partnership with governments and international organizations. One of the most influential guidelines on corporate governance is the G20/OECD Corporate Governance Principles, first published as Principles of OECD in 1999, revised in 2004 and 2015, being approved by the G20. Due to pressure from regulators and clients, capital market participants are moving towards greater clarity and quality of data. Investment firms face challenging “deal data” management issues, a catch-all term for both reference data (counterparty and security identifiers when entering into a trade) and market data (price and trade-related data for a financial instrument reported by a trading venue). “Deal data” management basically consists in gathering various information that can be dispersed within a firm in a logical whole. Efficient and cost-effective “deal data” management has become a vital priority for investment firms in the midst of a high-speed financial market environment denoting a strong willingness to enhance transparency in the aftermath of the 2008-2009 financial crisis. A “deal workflow” is defined as a series of tasks to manage from A to Z as part of a deal, usually involving various participants and several steps within the investment firm. In its most comprehensive form, the workflow includes the procedures, people and tools involved in every step of the deal process. The workflow can be sequential, each step being subordinated to the completion of the preceding or parallel, with several steps occurring simultaneously. The target market requirements apply to both manufacturers and distributors. ESMA guidelines, which were issued following the MiFID II Directive, should be applied in an appropriate and proportionate manner taking into account the nature, scale and complexity of an investment firm's business but also the range of financial services and activities undertaken. Target market definition should encompass the instrument’s features including its complexity, risk level, liquidity… A sufficient granularity level of the target markets is key to achieve an adequate mapping of related clients. Disclosure is the act of releasing any relevant information about a firm that may affect an investment decision. Over the past decade, the pressure from regulators to always push forward for more transparency has led to an increased scope of disclosure in type (costs, investment policy…) on one side but also in monitoring and frequency on the other. Indeed, with the recent release of MiFID II, MiFIR, EMIR and SFTR, disclosure is now a pillar of modern finance. Financial instruments may also be specified as cash or derivative instruments. The goal being to ensure that industry culture is sufficiently focused on clients’ interests, and that conflicts of interest are being handled as soon as possible. Investment firms advising on, or selling, PRIIPs must provide the KID to their retail client in “good time” before the PRIIP trade. The information disclosed within the KID must be kept up-to-date through ongoing reviews of the document. If a change has been made to the KID, it will have to be made available to the retail clients. With the rush toward digitalization in the past few years, the industry has faced an overhaul of IT systems, databases, and data warehouses. A database is an organized collection of data through several object types such as schemas, tables, queries, reports, and views. A solid and accessible database is today one of the most vital elements for any player aiming to keep up with the current regulation race and market innovation. Since the mid-1990s, legislation that protects the information privacy of individuals in the European Union has been primarily based on EU Directive 95/46/EC—the Data Protection Directive that set out the minimum standards on data protection across Europe. In April 2016, the GDPR (General Data Protection Regulation) replaces local data protection laws in every country of the EU. The GDPR tightens privacy protections for individuals, meaning privacy rules will change and organizations that deal with information relating to individuals will need to adapt. A distribution network is the interrelated system that allows interactions between manufacturers, distributors, and final clients. A fast, reliable, and ergonomic distribution network is essential to a successful and perennial business, as final clients must have both products and services at their disposal. What happens when you make a trade through a platform or by phone? If you think your order is always filled right away, you might be mistaken. Indeed, an order can be filled in many ways, implying several time horizons. How and where your order is executed will affect the cost of your transaction and the overall price you will cash out. Consequently, authorities developed the concept of “best execution,” which forces financial intermediaries to report the quality of executions on a deal-by-deal basis. An issuer/manufacturer develops and sells securities or financial instruments in order to finance and support its operations. Manufacturers may be of several types, including corporate, government, or fund. Trading enables manufacturers to optimize their needs by matching offer and demand (market participants) with a different level of liquidity according to each instrument issued. There are various ways to trade; some deals are being traded through specific platforms while other are being dealt over-the-counter. MiFID categorizes clients according to their knowledge, skill, and expertise levels. Therefore, and in accordance with MiFID II, a retail client can be defined as “any natural or legal person to whom an investment firm provides investment or ancillary services” that is not a professional client. Requirements to be defined as a professional client are listed in the Annex II of the Directive 2014/65/EU. MiFID II re-prioritizes existing and additional requirements regarding cost and charge disclosure at both the service and product levels. Costs and charges are required to be aggregated in order to make it understandable for the client by showing an overall cost. In addition, the cumulative effect of all costs and charges on the investment’s return should be illustrated. Disclosure should be both ex-ante and ex-post. The regulatory framework has been in perpetual evolution for the past decade, always looking for more and more accuracy regarding risk analytics. These analytics help the industry to perceive, anticipate, and mitigate their exposures. Their disclosures facilitate the communication to final clients through clear and standardized reports. Have a look at Florance Buron's (Director Advisory & Consulting at Deloitte) opinion on Linkedin.